When it comes to tooth extractions, Lowell, MA patients can trust the time-tested services of Crosspoint Family Dental. Sometimes, when it comes to dental treatment, it is necessary to remove a tooth, or perform multiple teeth extractions. Lowell, MA dentists, Dr. Peysakhov and Dr. Turkenich, at Crosspoint Family Dental, have 60 years of combined experience in the art of dentistry, including expertise in painless tooth extractions. Our team of dental professionals will work with you to understand the procedure and the decision to extract one or more teeth. If you need teeth extractions in Lowell, MA, you can count on the dental experts at Crosspoint Family Dental to provide you with a relaxing and painless procedure. When you visit us for teeth extractions, your doctor will numb the entire area surrounding your teeth, and may provide nitrous oxide gas to help you relax. If by any means you feel pain, we will stop immediately and provide more numbing medication to the area before we proceed any further. After teeth extractions, our Lowell, MA dentists know that there is a small possibility for short lasting discomfort. Our caring doctors provide medication and treatment plans for our patients anywhere from three days, to two weeks. If discomfort persists past the two-week mark, we will take you in for further care of the extraction area. If you need a tooth or multiple teeth extracted to preserve the health of your mouth, call our office today at (978) 459-6467. We work with you, in a friendly environment. 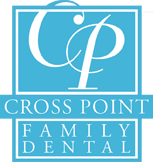 For tooth extractions, Lowell, MA dentists at Crosspoint Family Dental are certainly the right option.